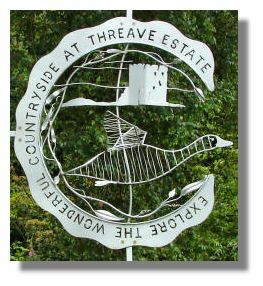 Threave Estate is in Dumfries and Galloway, between Castle Douglas and Kirkcudbright, on the A75 road - which runs from the main north/south M74 motorway between Scotland and England, and Stranraer in the extreme south-west of Scotland. A few gardens in the care of the National Trust for Scotland can be a disappointment - the small Malleny Park in Edinburgh springs to mind. 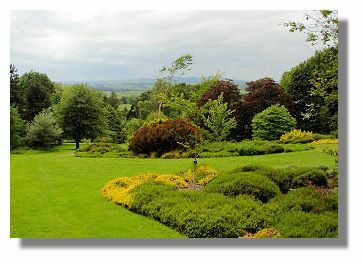 But Threave Garden near Dumfries is not only extensive, it is full of beautiful trees, shrubs and plants, plus an excellent visitor centre, all of which make it well worth a visit at almost any time of the year. Threave is part of an estate which was once owned by the Douglas family - Sir James Douglas (the "Black" Douglas) was a major supporter of Robert the Bruce and his Threave Castle is nearby on an island on the river Dee. 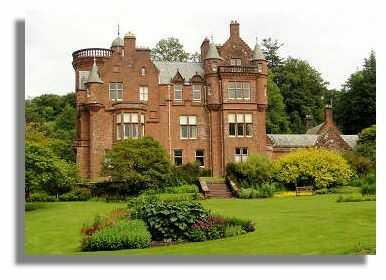 The lands of Threave were purchased by a successful Liverpool businessman in 1867 and he built the present Threave House in the style of a Scottish baronial mansion - complete with "pepper pot" turrets. The present gardens extend to 60 acres and are a creation of the National Trust for Scotland (and continue to be developed by them). The seasons will clearly affect what is the major attraction at any given time. 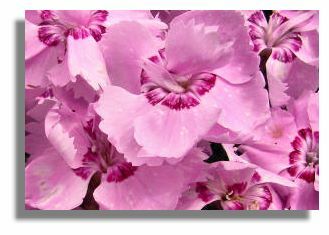 In springtime, there are large areas of daffodils plus rhododendrons and cherry trees. In the summer there is a rose garden and there is a woodland garden which is colourful in both spring and autumn. There is a rock garden and a peat garden (the latter is beside a waterfall and a pond), a walled garden and a patio area using Westmorland slate and Dumfries sandstone. Although most of Threave is laid out in an informal fashion, there is also a formal garden area which includes roses, clematis, topiary and a parterre. There are also large areas of mature trees full of birds and wildlife which is full of daffodils in springtime and there is a wildfowl refuge along a two-mile stretch of the river Dee. And don't forget that visitor centre for a snack or a more substantial meal. Return to Index of Places to Visit.